Having gone through the past two Star Trek film reboots with old Spock (playing by Leonard Nimoy) and a third on the way with a rumored William Shatner cameo, Star Trek fans have exclaimed "Enough of the old guys! Focus on the new!" 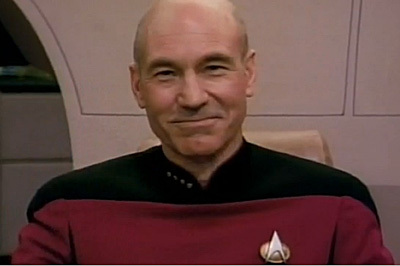 However, if there were to be any cameo of Trek-alumni that would not have fanboys cry out in terror, it would be Patrick Stewart. Stewart played Captain Jean-Luc Picard in the Star Trek: The Next Generation television series from 1987-1993 and several Trek films-often reprising the role in comedy skits for shows like Family Guy and Robot Chicken, however, could the good captain return to the captain's chair? The answer is hopeful. 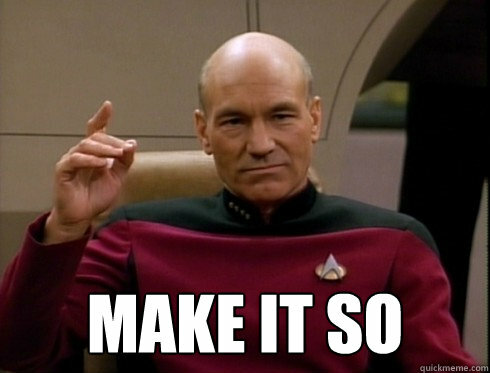 In regards as to who would play a younger version of Picard, he responded with his own son, Daniel.